Under the patronage of the President of the United Arab Emirates HH Sheikh Khalifa Bin Zayed Al Nahyan, ADIPEC - the Abu Dhabi International Petroleum Exhibition and Conference - is the largest gas and oil event for the Middle East. 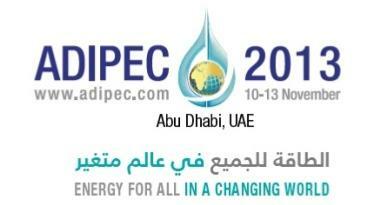 Held at ADNEC, Abu Dhabi, UAE between 10 - 13 November 2013, ADIPEC is now an annual event that attracts more than 51,000 attendees, 1,600 international suppliers, NOCs, IOCs and IGOs across 38,500 square meters of net space ...... an event not to be missed! So come and visit Parker Twin Filter at the ADIPEC 2013. We are part of the Dutch Suppliers Association (Dutch Pavilion, hall 11). You can also visit Parker in hall 6 at stand number 6110.